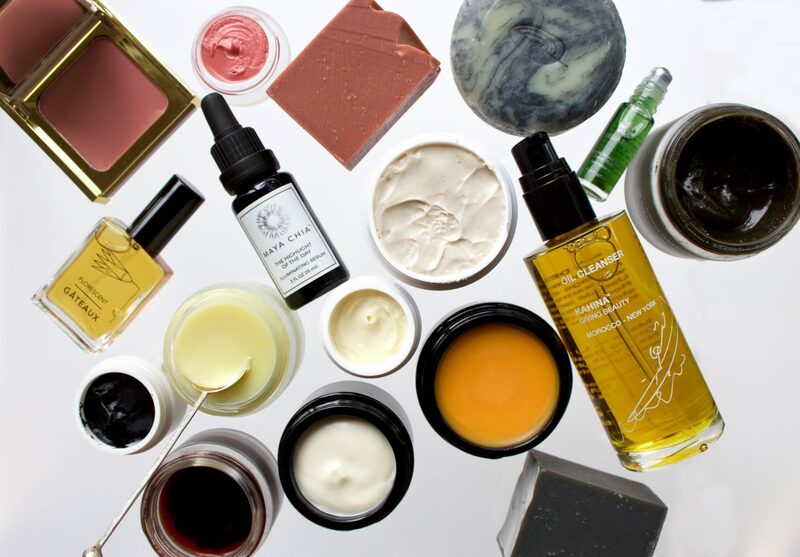 My returning readers out there know that I am a lover of green beauty products and I’ve always been very conscious of ingredients in my skincare and makeup. 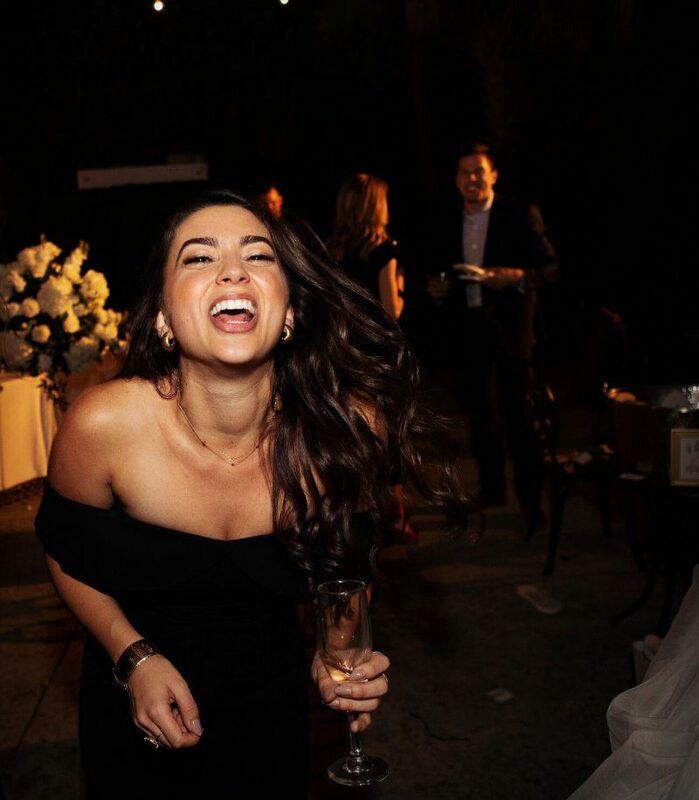 By a very fortunate coincidence, I’ve met and worked extensively with an incredible green beauty brand founder in Chicago who also runs this fantastic event, A Night For Green Beauty, and decided to bring it back this year for an online celebration. Today I’m filling you guys in on the biggest party of the year in green beauty that’s happening this thursday, and everything you need to know to discover, shop and learn! 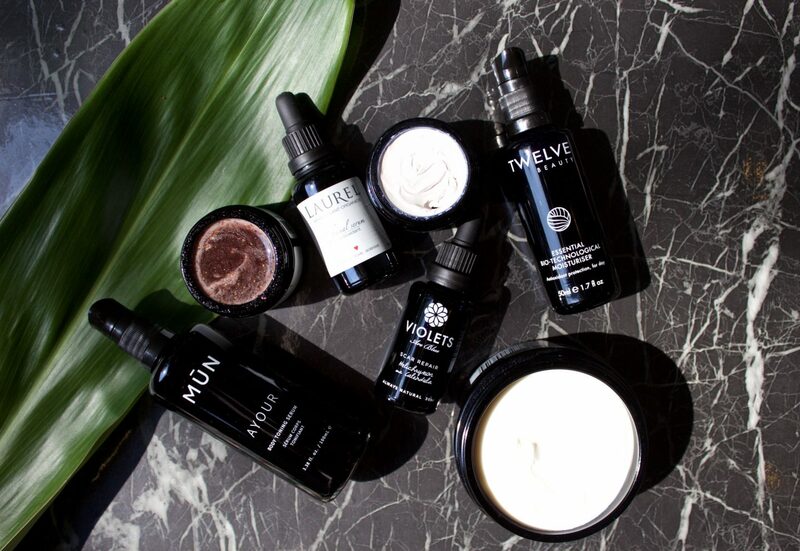 For the last six weeks, I’ve been working very hard with the brand founders of the best brands in green beauty to put together this online event this Thursday, August 2nd from 7-9pm EST. Together with Victoria Fantauzzi, the co-founder of La Bella Figura Beauty, we’ve done everything from build the website, coordinate with brands, the photography and videography, and most recently, produce our first podcast, so I’m so excited to share everything with you! 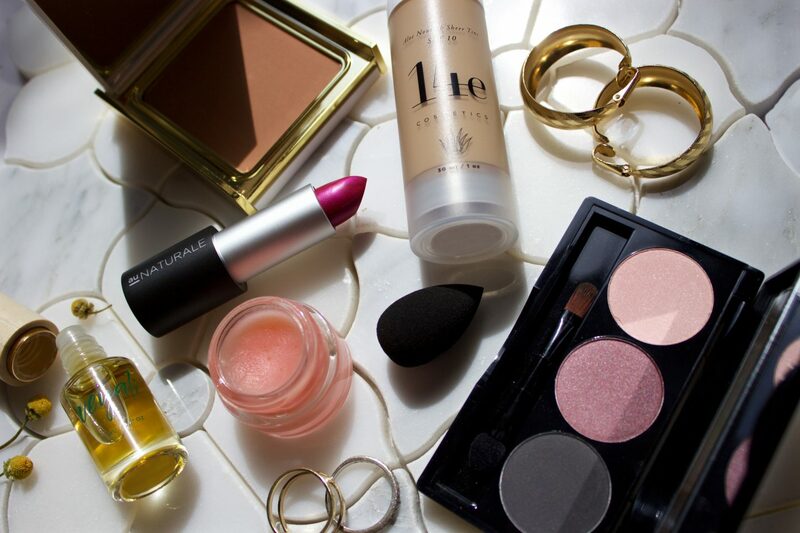 A Night For Green Beauty was created by Victoria Fantauzzi in 2012. It premiered as a brand awareness event for the people making green beauty and the fans that love it. Green Beauty was a very new industry then within the beauty world, and people first needed the education about why they even needed green beauty in their lives. In 2013, ANFGB exhibited in NYC highlighting pioneering brands in the new natural beauty category. Over 500 fans, customers, press and retailers attended a crowded space in the Flatiron District and helped to catapult an emerging industry. In 2014, ANFGB exhibited in Los Angeles and in Chicago in 2015. After a three year hiatus, ANFGB returns on August 2, 2018 featuring dozens of the world’s leading green beauty brands. This time as a festive online celebration for lovers of safe, beautifully created personal care products. This incredible community will once again focus on fresh ideas, education and showcase the finest green and natural products directly to thousands of excited customers and fans. Every year that this event has been held, the ANFGB team has worked diligently to screen all brands and make sure that they meet thier green beauty standards before including them in the community. These standards include a non-toxic INCI list, lovely packaging, concise brand message, company integrity and product efficacy. ANFGB is all about building trust between brands and consumers so we never use tricky language or hide behind confusing marketing terms. For more on how and why the event started, as well as the challenging (and hilarious) moments of the very first event in NYC, listen to the first episode of our podcast, The Green Universe! You can listen from our website or through iTunes! Since the event is online this year, we gathered offers from each of our approved brands and there are some amazing deals to know about on the brand page of the website. Most of these luxury brands don’t hold many sales per year, so if you have a product in mind that you’ve been meaning to try, Thursday is the night! Also, most of the offers will last through Friday, so there’s plenty of time to shop around before buying. There are also some amazing gifts with purchase and giveaways going on, so take a peek around the brand page and see what you find! Most importantly, all of these fantastic brand founders will be online on Instagram stories and live, and Facebook live on Thursday night to chat directly with customers. It’s a really awesome opportunity to ask any questions you might have and learn all about your favorite brands’ product line, how to use their products and all about their ingredients. The amazing thing about this year’s event is that ANFGB can include global brands since the event is all online. We have some really cool brands from Spain, Australia and the UK. There are so many products included in our brands, but I thought I’d give you my little shopping guide if you want to know what I use. My basic skincare routine consists of a great cleanser, serum, face oil, face mist and face mask (all of which you can shop from the ANFGB brands). 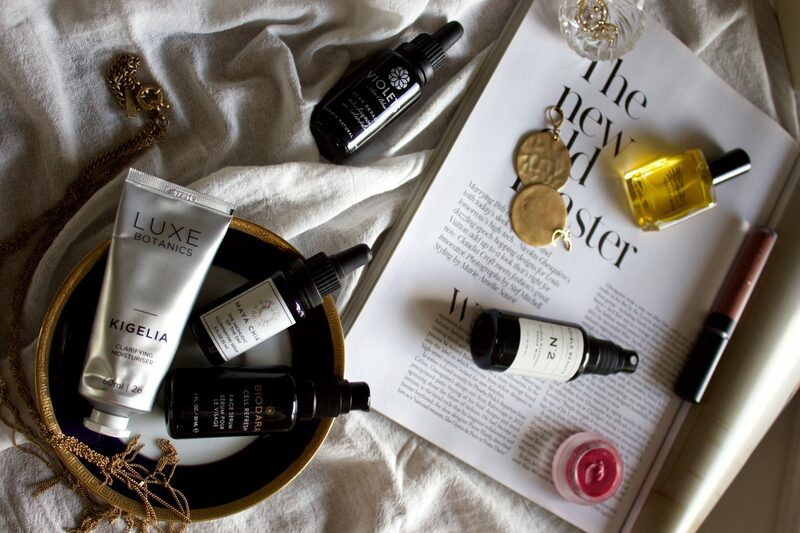 One of my favorite brands of all time is La Bella Figura, as they do their own product formulations in house and their products have really had an amazing effect on my skin over the last six months. Also the founders both have unbelievable skin, so I’m sticking to it! They’re offering 15% off site wide and a sample of their upcoming new product! 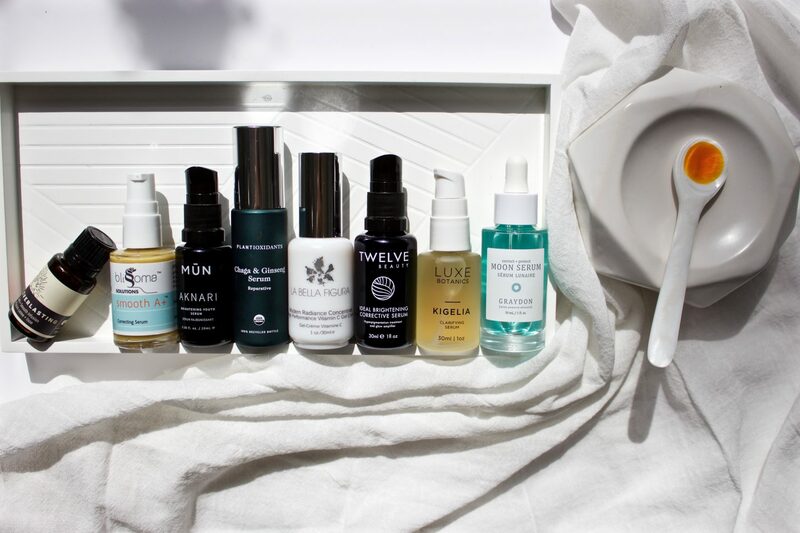 I love their Modern Radiance serum and Barbary Fig Seed Oil – these are my every. single. day. favorite products. My other favorite products are the Florescent perfumes, all of the manuka honey masks (by OY-L, La Bella Figura, LILFOX, Laurel), Maya Chia’s Highlight of the Day illuminator, Saint Cosmetics bronzers, Organic Bath Co. scrubs, Kahina Giving Beauty’s Argan Oil (from Morocco-amazing stuff) and 14e Cosmetics foundation. ANFGB brands have a wide variety of cleansers, serums, oils, masks, toners, botanical perfumes, cosmetics (eyeshadows, lipsticks, foundation, bronzer, blush, and more) soaps, body gels, hair care products, bath products, baby products, sunscreens and even men’s skincare products to name a few. Now’s the time to restock and stock up on your favorite safe goodies. Follow our Instagram @anightforgreenbeauty for the latest news and subscribe to our newsletter at the bottom of our website to stay up to date! We have a ton of cool stuff coming and can’t wait to share more. If anyone has any questions on products or how to use something, feel free to ask in the comments! 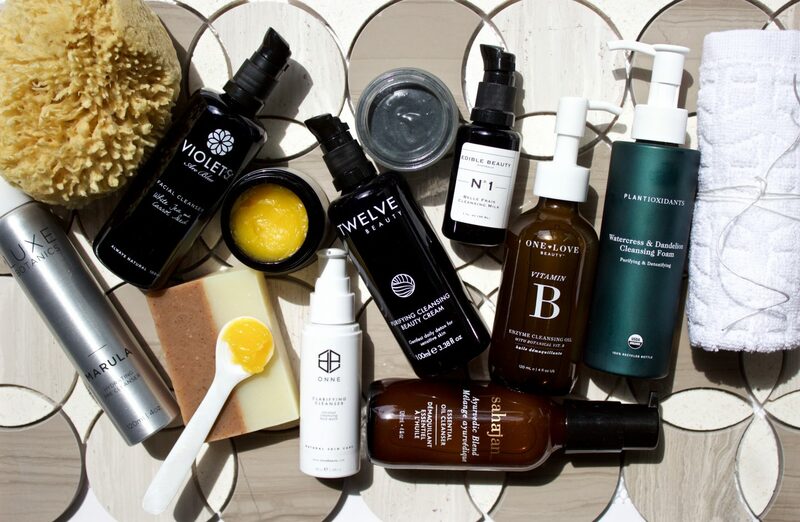 Do you guys have any favorite green beauty brands? I’d love to hear your favorite brands and products! So glad to see people are going green.